One of the things I have been working on around here is getting a bed for our foster care bedroom. If you read my last post about when life happens, I hinted that we have a bed! I am excited to share it with you today. After scouring Craigslist for weeks, I realized finding a daybed with a pop up trundle and two mattresses was going to be expensive-even if it was used. In a last resort kind of thought, I asked on facebook if anyone had one they would want to sell me. The next thing I know I had several comments and exactly what we needed was provided-for free! We had a beautiful bed given to us. I am still amazed and so thankful God provided through a really generous lady exactly what we needed. After getting the bed, we decided to give it a quick spray paint job. We want to give the room the most “gender neutral” feel, so we had to paint over the floral decorations. 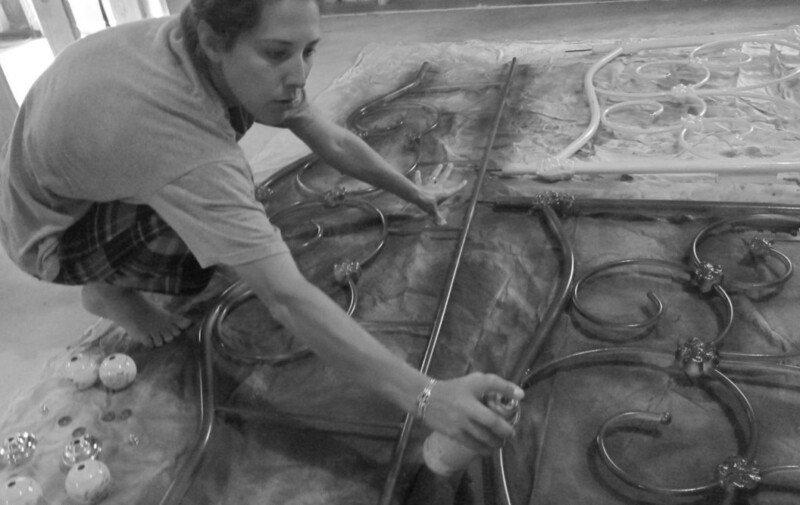 It took four cans of spray paint to cover both sides of the bed thick and evenly. I used my favorite spray paint (Dark Bronze), and I couldn’t be happier with how it came out! 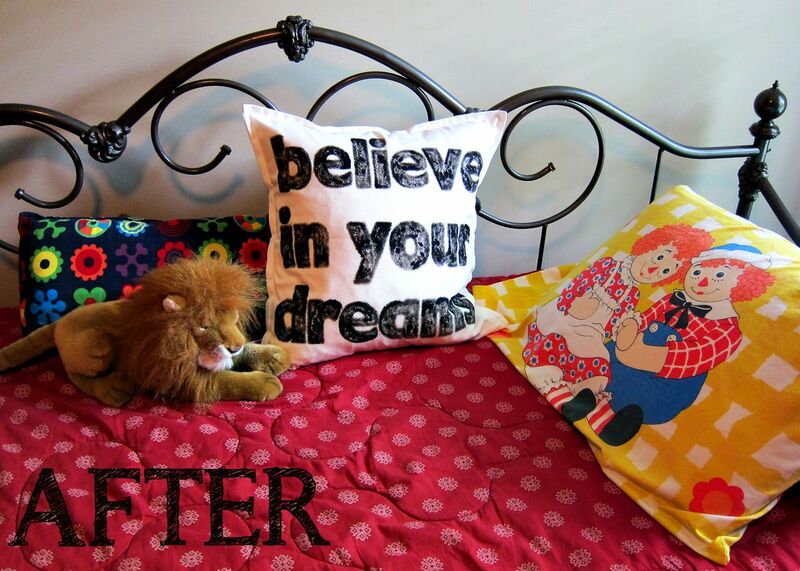 I will show you the bed put together, but first I wanted to also show you an inspirational pillow I made for this bed! 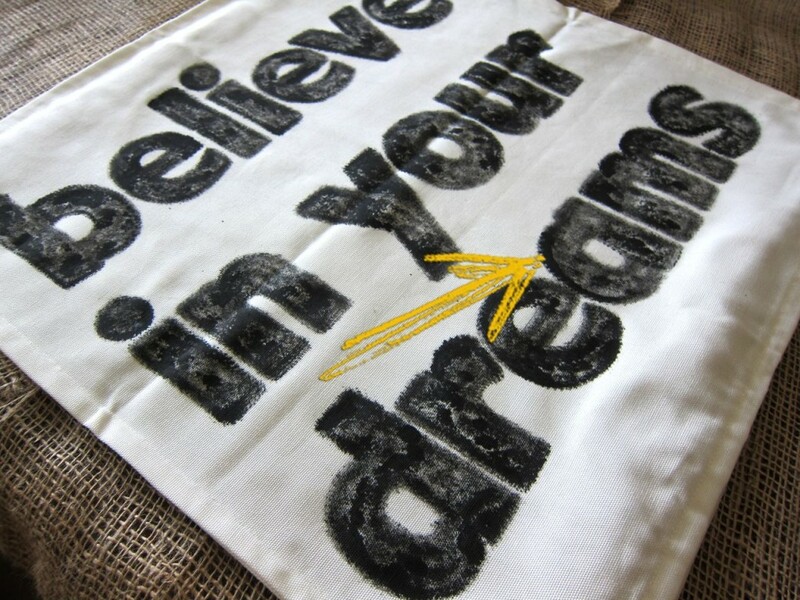 I took a $3.00 Ikea solid white pillow case and used a stencil to write a message I hope my kids (and any foster kids that come into my house) hold in their hearts: Believe in your dreams. 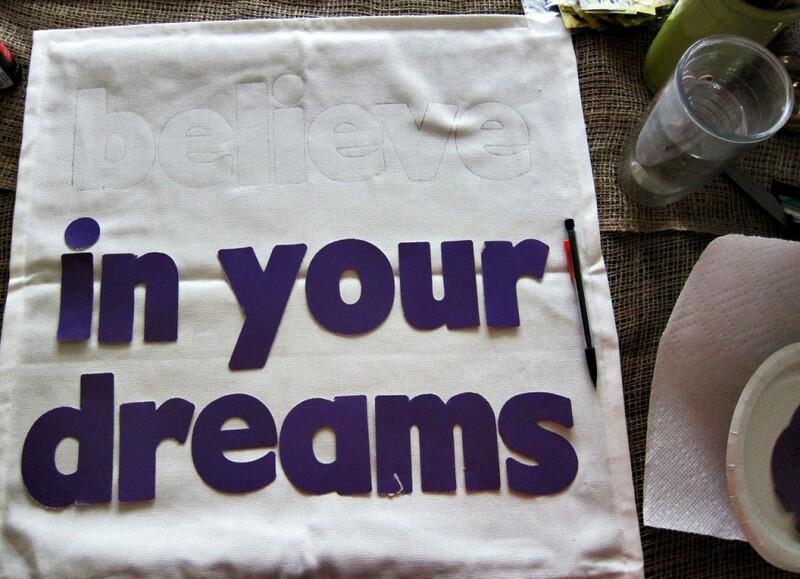 After the stencil was outlined on the pillow case with a pencil, I used a dry brush technique to paint the letters in. I wanted it to look somewhat rustic, so I didn’t paint the letters solid and thick. If you have never done this technique, you can see this quick 60 second clip of me demonstrating how I do it. I know the kids that stay in this room might not be able to read this pillow, but I will read it to them. No matter where we come from or what has happened to us, we all have dreams. 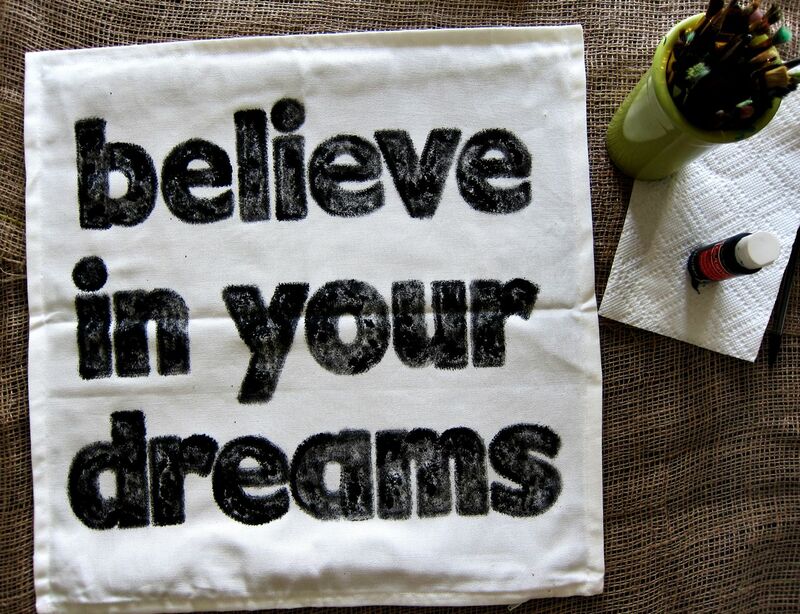 Those dreams give us motivation, joy, hope, and drive. One tip for painting with this technique is to not dap a freshly filled paint brush all in the same place. It will create more of a “solid line” look rather than a “rustic by accident” look. You can see my mistake below. You can also keep a paper plate or something close by to tap the freshly dipped paint brush a couple of times before applying it to your fabric to get the more faint and dry look. I love the start of our foster care bedroom. We now have the bed complete! I have big plans for the rest of the room and will keep showing the process as it comes together. The ultimate goal is for the children to feel welcomed, loved, safe, and protected in our home. I hope our house and ultimately this room will give that atmosphere. Thanks so much for being on this journey with us! Love it! Did you make the spread too? No, I purchased this spread. I’m going to do this project this weekend. Picked up an brass daybed from my mom last night. LOVE LOVE LOVE the dark bronze color. Did you have to do any prep? What brand pray did you use? If you had to do it over, would you do anything differently? I used Rust-Oleum Hammered Metal Finish Spray, Dark Bronze. You can pick it up at Home Depot or purchase from Amazon using the link in my post. (Sometime Amazon’s color options vary) I didn’t do much in terms of prep. I’m very happy with my results. 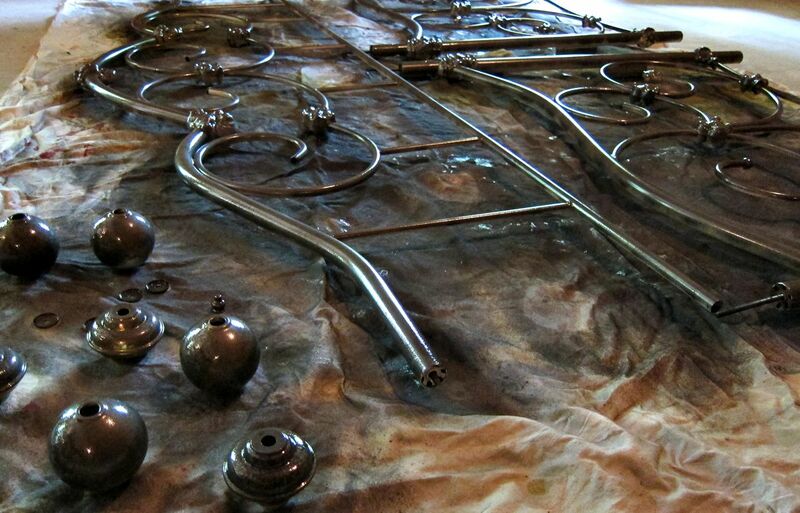 The texture of the Hammered Metal Finish of the Rust-Oleum paint provided a lot of grace in the painting process. If you aren’t using a textured spray paint and go with a “normal” spray paint, then I would encourage a light sanding and can of primer paint first. Hope it goes well for you! Fantastic! Thanks. Bought the same brand also in the hammered but the color was a little lighter than the one you used. If it wasn’t so windy I would be doing it today. Guess it will wait. Thanks for the inspiration and info! Great! You are so welcome! I had this same bed growing up. My dad kept it in storage all this time, so I’m going to go pick it up soon. 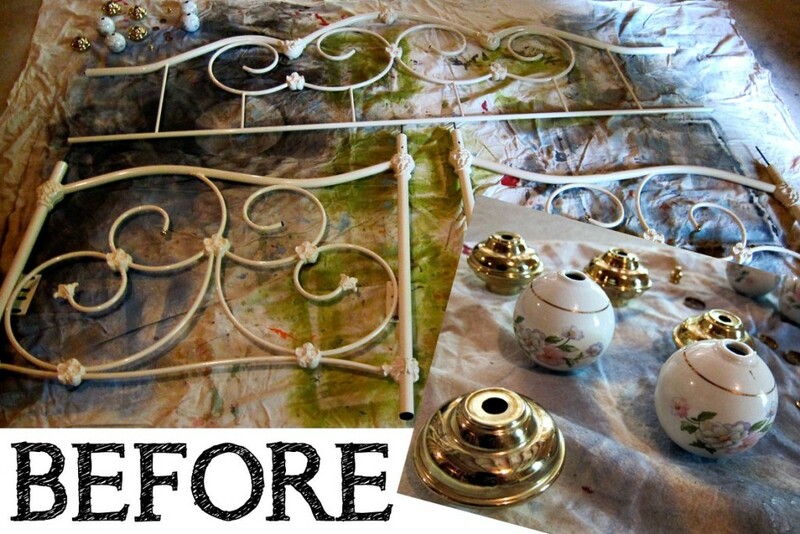 The flowery white isn’t really my jam these days, so I was googling to see if anyone else had spraypainted a metal daybed. Sure enough. There it is. Looks great. Thanks for posting and giving me the courage to try it out! Any thoughts about how it’s holding up?